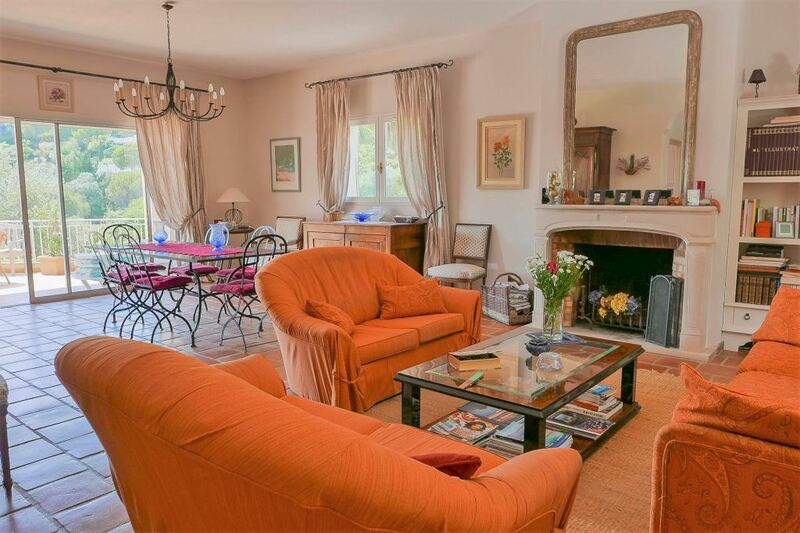 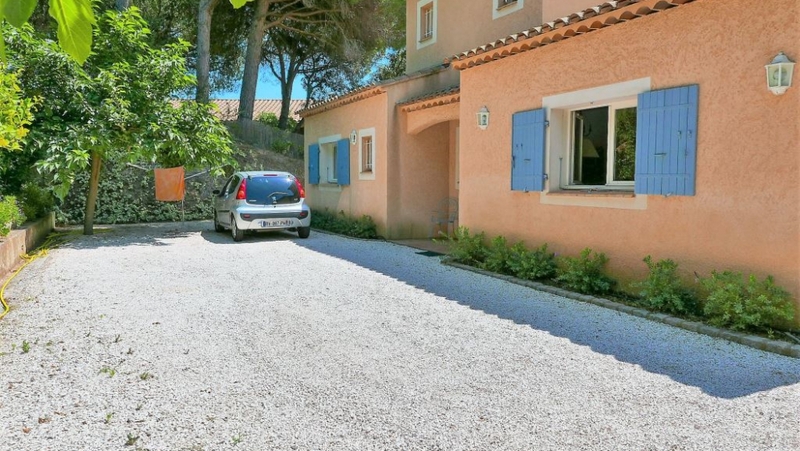 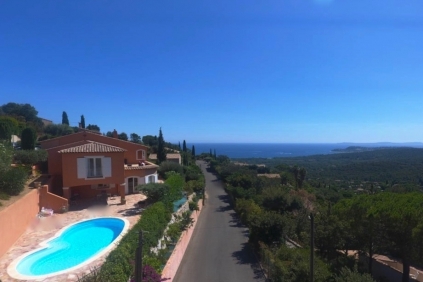 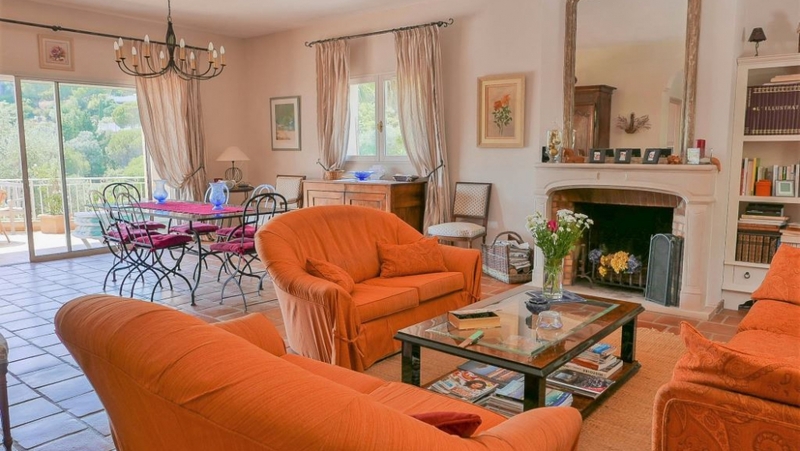 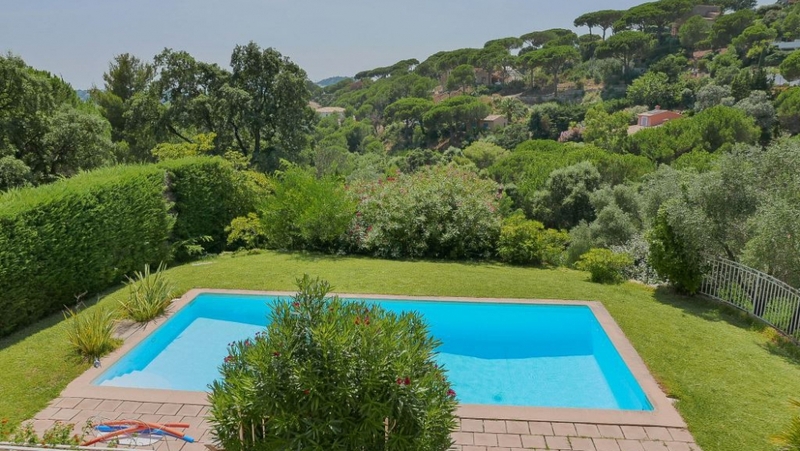 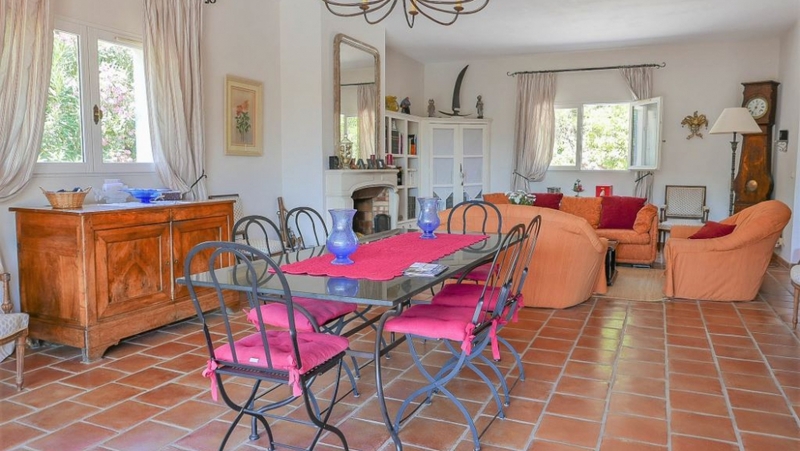 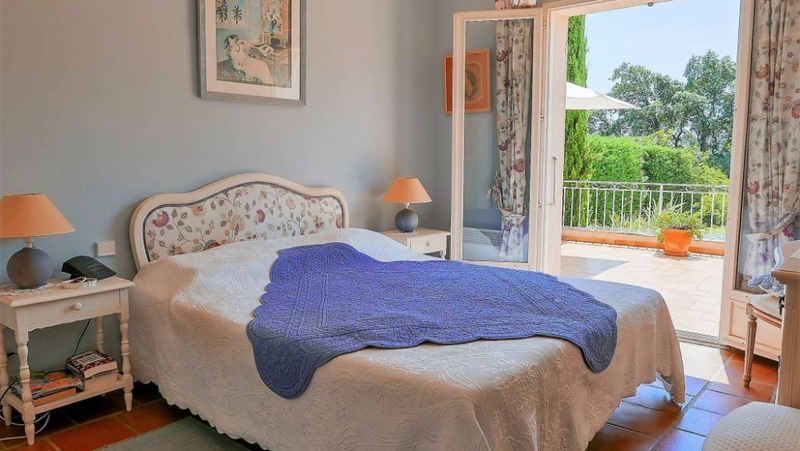 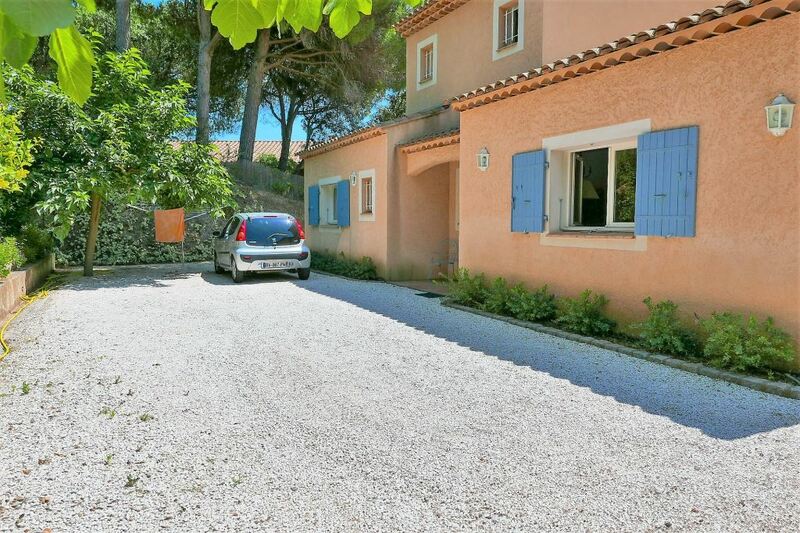 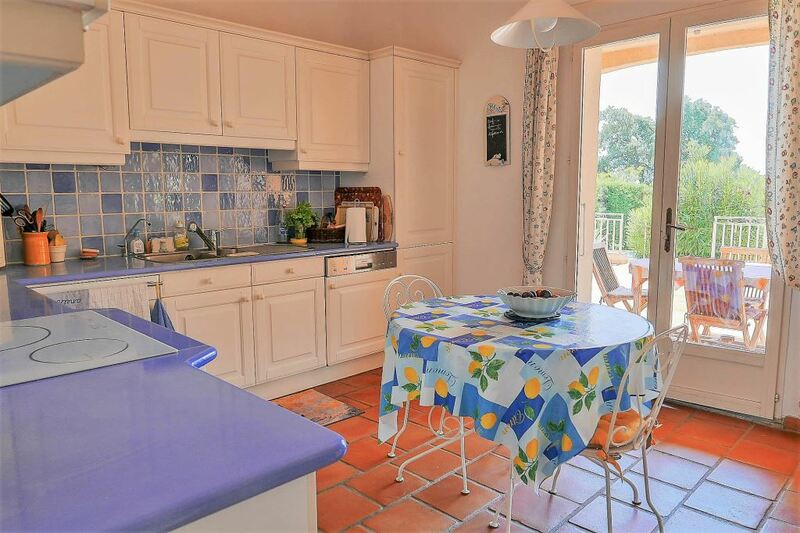 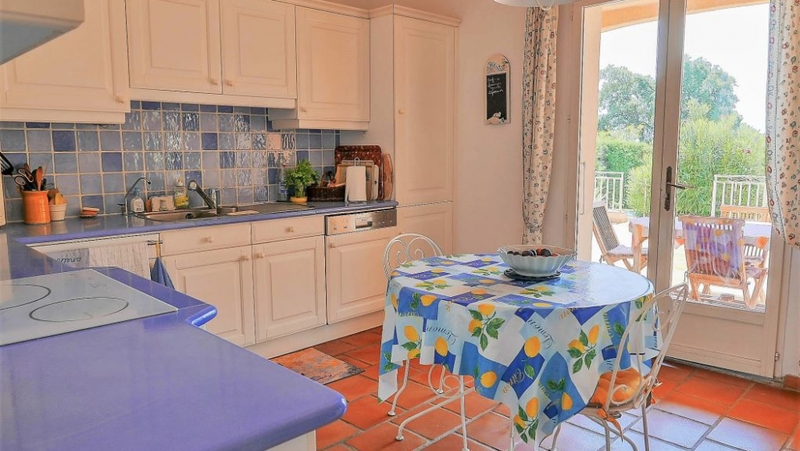 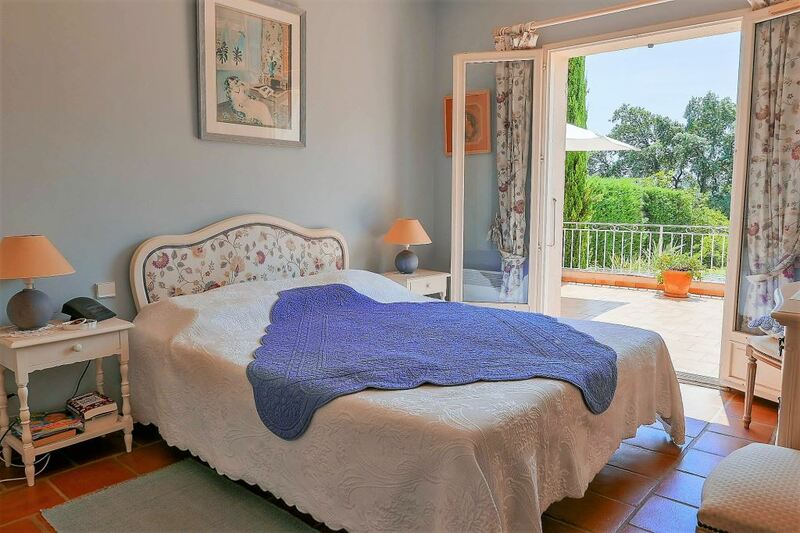 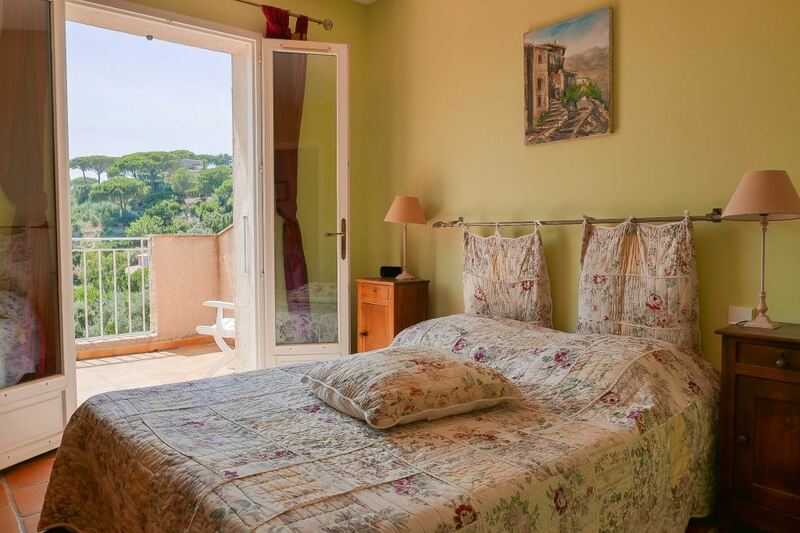 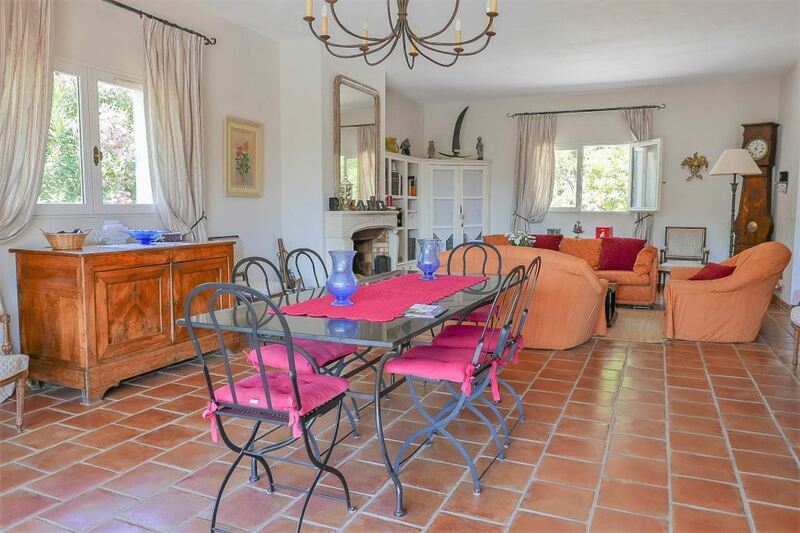 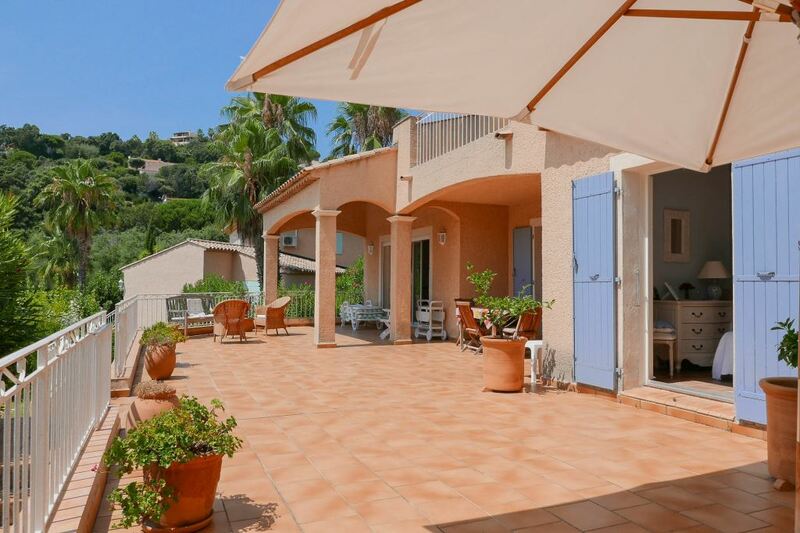 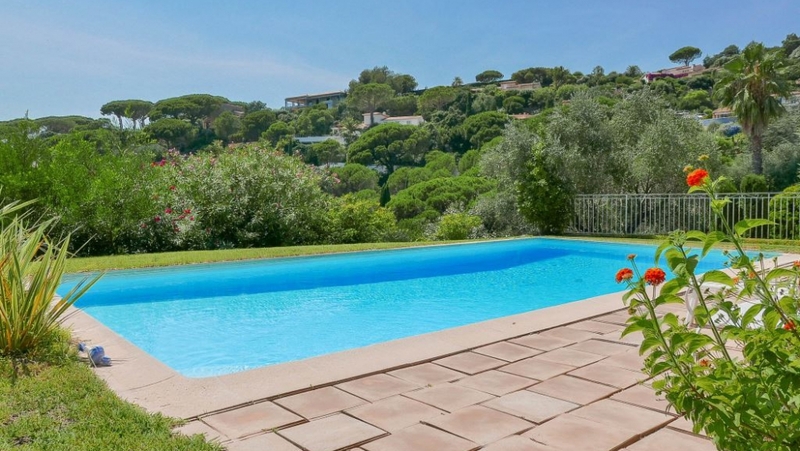 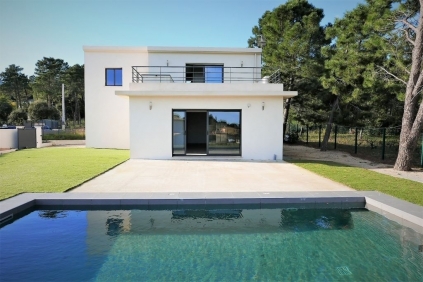 This charming Provencal villa is located in a lovely green area within a secure domain. 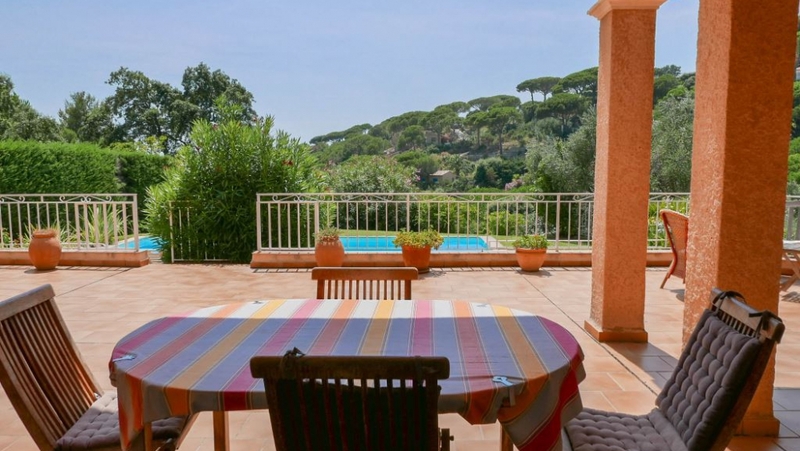 Beautiful setting within easy walking distance to the beaches. 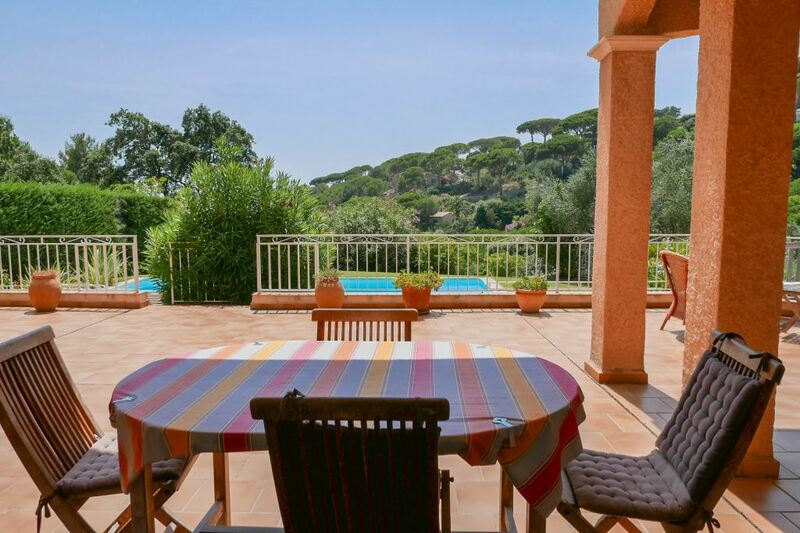 The villa is set on a south facing plot of 1.400 m2 with nice open views. 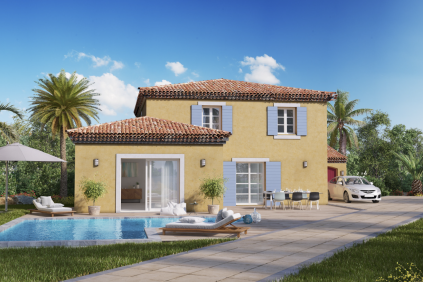 The villa offers 4 bedrooms and 3 bathrooms. 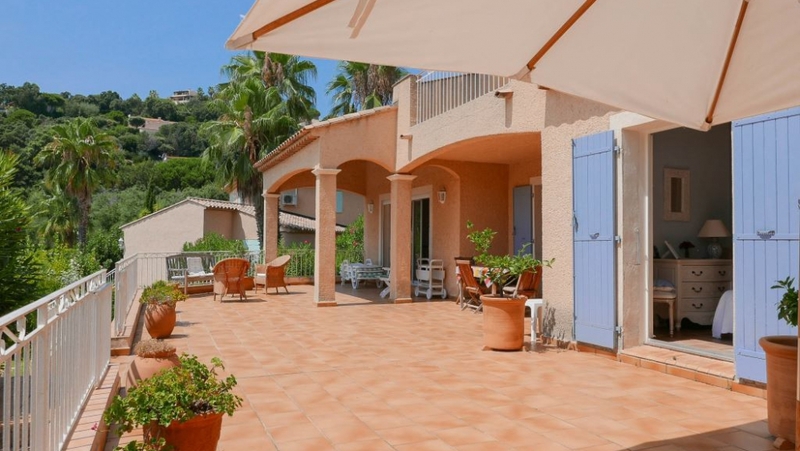 On the ground floor: hall, very spacious living room, dining room opening onto a large terrace, fully equipped kitchen, a bedroom with bathroom, guest toilet, a master bedroom with bathroom and toilet. 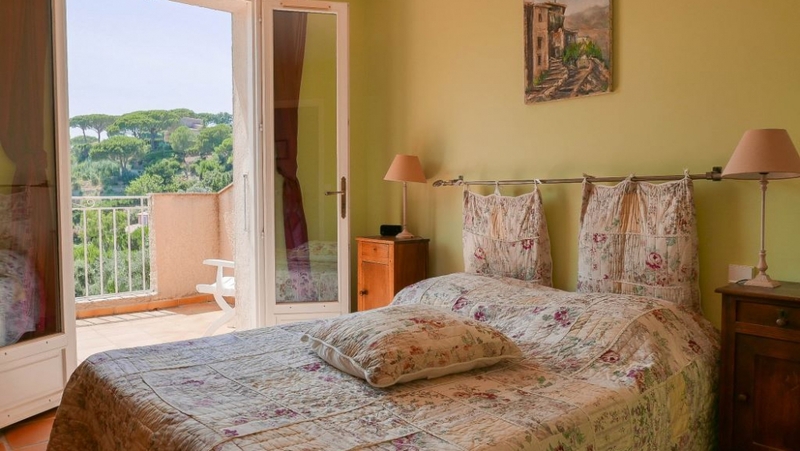 Upstairs, two bedrooms opening onto a terrace, bathroom and toilet. 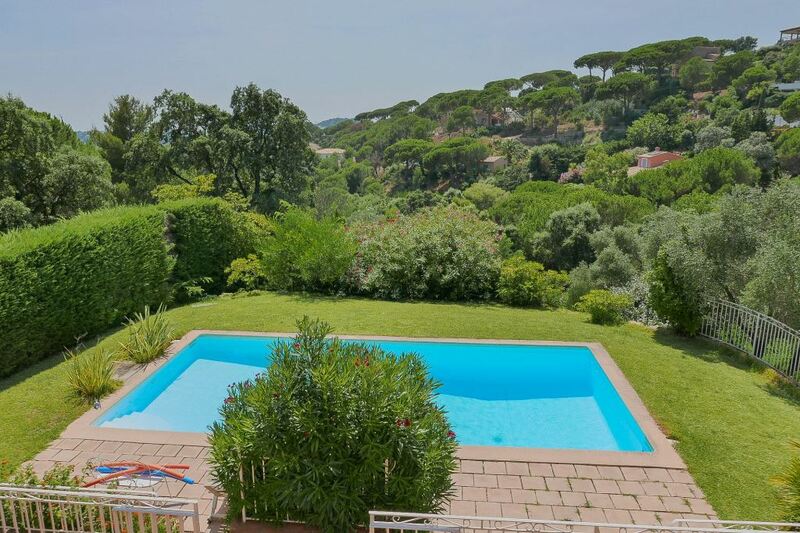 Nice pool surrounded by terraces, double garage, basement. 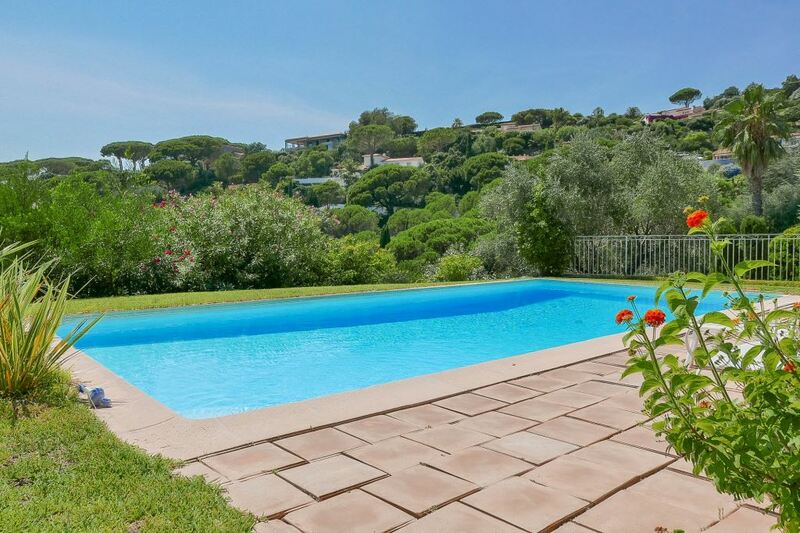 A lovely villa for a very interesting price!